The Microspeedy Microfibre Mopping System combines a more traditional flat mopping bucket with the modern technology of microfibre. 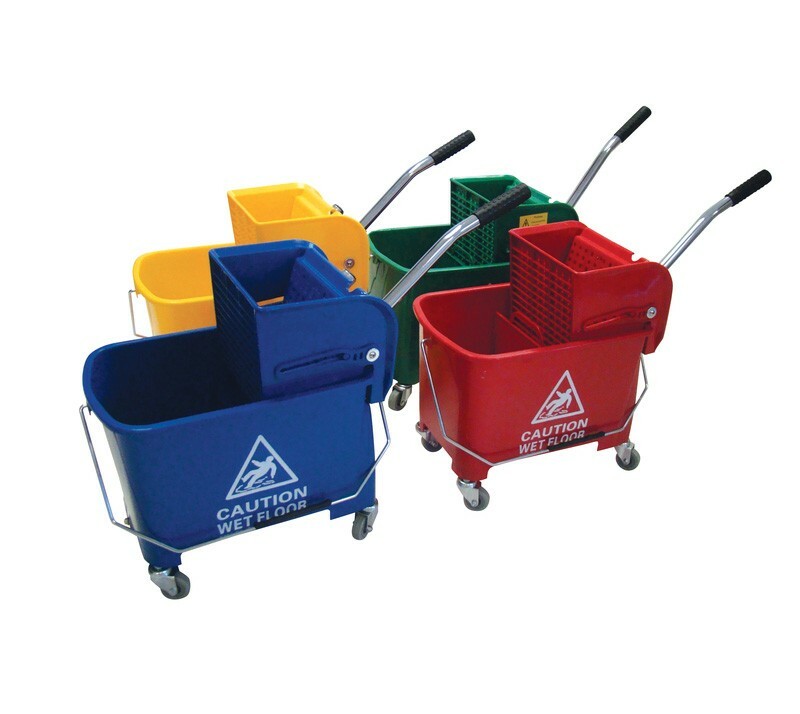 Traditional cleaning products need the addition of both chemicals and water to work effctively. Microfibre offers a new solution to traditional cleaning. Thousands of microscopic fibres actively lift up dirt and grime and keep it locked into the mop until rinsed clean, ensuring floors are left ultra clean. Microfibre mopping also needs fewer chemicals to be used, meaning these mops are even more environmentally friendly than any traditional mopping systems. 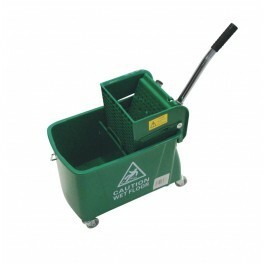 The system comes complete with a 20ltr bucket featuring four 75mm swivel castors and metal handle and a heavy duty gear operated kentucky wringer. 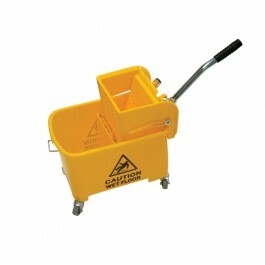 The system can accomodate up to a 400g kentucky mop head. 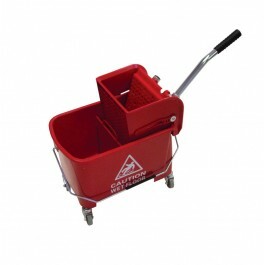 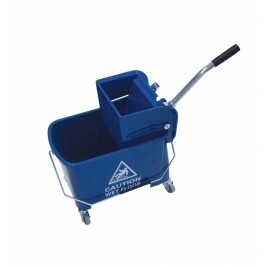 Mop bucket and wringer can be used as part of Microspeedy Microfibre Mopping System or a traditional kentucky mopping system.